This award seeks to acknowledge and reward those faculty teaching Global Campus courses who go the extra mile to inspire and engage students in learning, support and care about students, and encourage students to do and be their best. Annually, currently enrolled students receive an email invitation to nominate an instructor who fits this description by answering the questions at right. Nominated instructors are also assessed on responsiveness and engagement in the online course space. 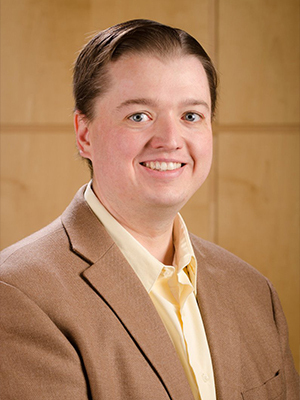 Jason Porter, associate professor of accounting in the WSU Carson College of Business, is the winner of the 2018-19 Excellence in Online Teaching Award. The student-nominated annual award is sponsored by Academic Outreach & Innovation. Read the full article in the WSU Insider. Lee Daffin, WSU clinical associate professor of psychology, is the winner of the 2017-2018 Excellence in Online Teaching Award. Academic Outreach & Innovation (AOI) sponsors the student-nominated annual award, now in its second year. Read the full article at WSU Insider. Katy Fry, clinical assistant professor of history, received the student-nominated Excellence in Online Teaching Award. Describe how this instructor inspired you to learn. Describe how the instructor pushes students to do their best. How does the instructor engage in the “classroom” in a way that encourages thinking and learning? How did the faculty demonstrate care or concern for students? The course space is a welcoming, safe environment where diverse viewpoints can be expressed. There is/was significant interaction, between the students and the instructor throughout the course. Course activities facilitate development of a connected class community. The instructor facilitates a connected class community. I understand how the assignments and assessments contribute to my learning. What I needed to do to be successful in the course was clear.